Manufacturer of a wide range of products which include atfd- agitated thin film dryer, steam jet ejector system, steam jet ejector vacuum system, jet ejector vacuum system and steam jet air ejector vacuum system - sjae- for condensing turbine appl. We are the leading firm, actively occupied in providing a wide range of Agitated Thin Film Dryer. 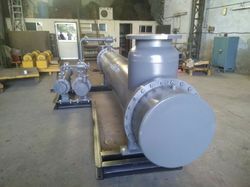 We are instrumental in manufacturing and supplying the finest quality of Steam Jet Ejector System. 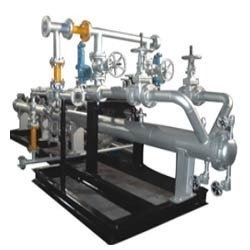 These systems are manufactured as per the industry set norms by using advanced machinery. The best possible quality of the offered ejector systems is maintained at all times through various quality assurance procedures conducted by our team of quality controllers. - Power consumption 1 H.P. TO 7.5 H.P. We offer the finest quality of Steam Jet Ejector Vacuum System to our esteemed customers. Its energy efficiency, optimum functionality, low maintenance cost and user-friendly operations, make this system highly demanded. By using sophisticated machinery, our engineers manufacture the offered systems in compliance with the industry set norms. To serve the requisite demands of packaging industries, we are engaged in offering a qualitative range of Jet Ejector System. 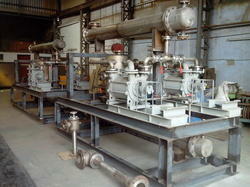 Industrial plants, offered by us are in line with the international quality norms. These industrial plants are much famous in the market, owing to their exceptional quality elements. Clients can avail these well designed industrial plants from us in miscellaneous specifications. 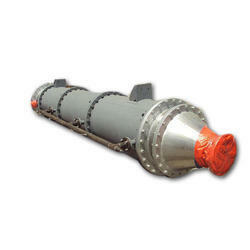 We are successfully ranged amongst the foremost organization for offering Steam Jet Ejector System. Designed with precision using best grade material, our ejector system is high demanded in the industry for its easy maintenance & flawless performance. Our ejector system enables better dust handling & increased pumping speed. Looking for Steam Jet Ejector System ?